Bayern Munich president Uli Hoeness has indicated that Tottenham Hotspur linked Benjamin Pavard’s proposed move to the Allianz Arena is not done and dusted. The French defender was impressive during France’s World Cup campaign last summer and caught the eye of many clubs across Europe with his performances. The Stuttgart centre-back has been on the radar of a few clubs and Tottenham are said to have been keeping tabs on his development for a while. But it was claimed in the summer that Bayern Munich already have a deal in place to sign Pavard at the end of the season, though none of the parties concerned have confirmed the agreement. Hoeness did concede that Pavard is a player the German champions have been tracking, but indicated that no deal is still in place to take the Frenchman to Bavaria next summer. “He’s a player who interests us”, the Bayern Munich supremo was quoted as saying by German newspaper Sport Buzzer. 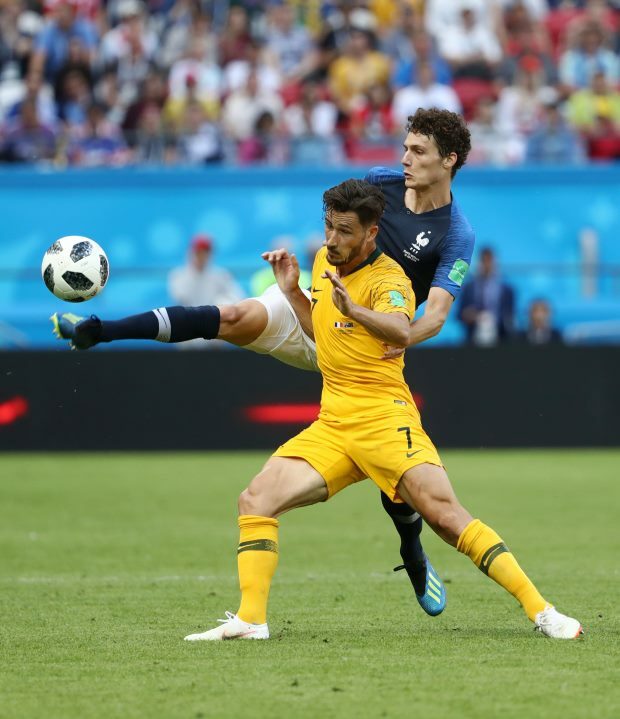 Already a World Cup winner at 22, Pavard is a centre-back by trade but can also play as a right full-back and as a defensive midfielder.